I have a friend who, in lieu of sending Christmas cards, burns mix CDs of new music that he’s discovered throughout the year, and mails them to all of his friends. Although not particularly adept at the art of the mix CD myself, I’m a strong believer in the mix CD. I think it’s a great way to cheer up a friend, celebrate occasions large or small, or convey a sense of your personality to a potential romantic interest. (I even have a friend who teaches high school and told one of her students that he could earn extra credit by making her a really good mix CD.) But even more importantly, the mix CD gives you the chance to share new music with someone who would otherwise not have been aware of that artist. 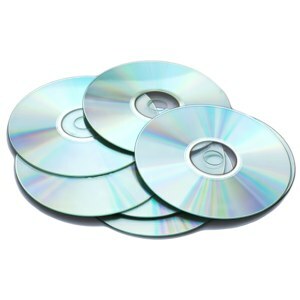 I’ve discovered many a “favorite” singer or band through friends who have passed along mix CDs. I mention all this because a few days ago, I found myself wishing for a poetry-equivalent of the mix CD. I often find poems that I want to share with friends, and I usually just end up typing out the poem in an email or sending a text message with a few lines. (For “Poem in Your Pocket Day,” I texted a haiku to about two dozen friends, mostly non-poets.) But I’m wondering if anyone has a better suggestion for sharing new poetry discoveries. Short of buying a book to give to someone, how do you share a new poet or a specific poem or two with friends? In the spirit of National Poetry Month and turning more people on to the poetic craft, how do you spread the appreciation of poetry? Do we have a poetry equivalent of the mix CD? Excerpts from Letters of Sylvia Beach include the pioneering Paris bookseller’s correspondence with Ernest Hemingway, James Joyce, Richard Wright, William Carlos Williams, and others. New Directions Publishing offers an "exclusive brand-new, never-before-published poem" by Lawrence Ferlinghetti Entitled "At Sea," - inscribed for Paublo Neurada - the poem begins: "The sea through the trees / distant / shining. . ."
As the first president of the EU, Herman Van Rompuy has struggled to make his voice heard on the world stage. But as "Haiku Herman", the writer of poetry covering topics from mating toads to birdsong, the understated Belgian's voice finally emerged yesterday with the launch of his first body of work to an expectant audience. For three years, Paul Harding’s unpublished novel, “Tinkers,’’ sat in a drawer. The writer, a former Boston rock drummer who grew up in Wenham, had tried selling it, but nobody was interested. “I thought, ‘Maybe I’ll be a writer who doesn’t publish,’ ’’ Harding, 42, said this week, a day after “Tinkers’’ earned him the Pulitzer Prize for fiction — the first book by a small publisher to do so in nearly three decades. U.S. Poet Laureate Kay Ryan reads her poem "Is It Modest?" during the Cleveland Public Library's Writers & Readers Series at the Louis Stokes Wing auditorium on Sunday 18 April 2010 in Cleveland, Ohio. This amateur video by John Burroughs, a.k.a. Jesus Crisis, is posted for educational purposes only. "Is It Modest?" comes from Kay Ryan's 2010 book The Best of It: New and Selected Poems (published by Grove Press). What Not to Do When You Get a Rejection Letter: insults and sarcasm. Children are shaped by the places they live and the events they experience. This collection will gather work that documents how poets were shaped or influenced by growing up in one particular Midwest state. On its north coast, Ohio is a Great Lakes state where it shares a border with Canada; on the east and south, it is Appalachian mountains and foothills, forests and rivers; to its west, it flattens into the beginning of the plains, squared with farms. Demographically, Ohio has its rich cosmopolitan centers, its suburbs surrounding its cities, its bounty of small towns, its agricultural diversity from truck farms to family farms. Yet it also has cultural diversity and rich heritages that decorate the quilt that is Ohio. Poems of place and on characters might be especially welcomed for this collection. Name the people, places, brands, businesses, landmarks, institutions, locations that impacted your life as a child and your life as a poet. The collection will be edited by Robert Miltner of Kent State University and published by Pudding House Publications in Columbus, Ohio. Poets should have spent at least five years of their childhood in Ohio. Beginning, emerging and established poets are equally invited. Submit no more than four poems. Include author contact information-- name, address, phone number, email-- on each submission. Include a short contributor's note (under 150 words) about your Ohio connection; keep publication comments brief. Previously published poems considered if poet holds copyright and publication information (journal, issue, year, page or website) is provided. No fees will be paid for reprinting. Rights revert back to author upon publication. Send submissions to ohiochildhood@gmail.com. Put your last name first in the subject line, followed by "submission." Attach your poem(s) in a word file AND paste the poem(s) in 12 point font in the body of the email. Only submissions that follow the guidelines will be considered. Deadline for submissions is EXTENDED to August1, 2010. For questions, contact editor at ohiochildhood@gmail.com Put "Question" in the subject line. Two Cleveland students will represent the city on the floor of the New York Stock Exchange at America SCORES National Poetry SLAM! CLEVELAND, OH – Two students from Walton K-8 School on Cleveland’s near West Side will represent America SCORES Cleveland on Monday, April 19 at the Fourth Annual National Poetry SLAM! in New York City. Gonzalo Villafan and Amairani Valerio, both age 11 and Cleveland Metropolitan School District fifth-graders, will perform their original works of poetry on the floor of the New York Stock Exchange along with 26 poet-athletes from the other 13 America SCORES affiliate cities. Gonzalo and Amairani were chosen to represent America SCORES Cleveland (ASC) last November at ASC’s 2009 Poetry SLAM! held at John Hay High School. Judges selected the two from 16 individual poet-athletes who shared their original works before an audience of over 500. “I am excited to show what I feel inside of me. Poetry allows me to do that,” shared Gonzalo when asked about his upcoming performance. This freedom of expression has helped Gonzalo conquer his fears in the classroom, on stage and even in the doctor’s office. Gonzalo translates for his parents, who speak little English. Although it is difficult for Gonzalo to translate medical terms he does not even understand, he does it because he loves to help his mother, Maria, while at his 6-month-old sister’s doctor appointments. SCORES has empowered Gonzalo to speak for those who sometimes cannot. Gonzalo plans to capture the audience with his topical poem “Balloon Boy”, based on the balloon hoax pulled by Colorado parents last October. Amairani has benefited from ASC in a similar way. She joined SCORES a year ago, when, at the time, she spoke very little English. However, Walton K-8 School’s dual language program in which students are immersed in both Spanish and English instruction paired with SCORES writing curriculum has helped Amairani master English in a very short period of time. Her dedication to her education is apparent. Despite moving to Cleveland’s East Side this fall, Amairani catches several buses to attend fifth-grade at Walton K-8 in Ohio City every morning. Her progress is astounding and the SCORES program has aided her progress, allowing her to explore words and language. Today, Amairani speaks and writes with nearly flawless English, as evidenced by her inspirational poem “Poetry” that she will perform in New York City. This year, the National Poetry SLAM! will honor Sunil Gulati, president of the US Soccer Federation as it celebrates the accomplishments of poet-athletes from around the country. America SCORES Cleveland is an affiliate of America SCORES, a national model for sports-based youth development targeting girls and boys in urban neighborhoods. America SCORES Cleveland serves 384-students ages 8-12 in eight Cleveland Metropolitan Schools located within the Glenville, Hough, Fairfax, North Broadway/Slavic Village, Puritas-Longmead, and Ohio City neighborhoods. This five-day per week after-school program works to enrich the lives of inner-city youth through regular participation and skill building in soccer, creative writing, and service-learning. Teamwork – the key to success in both education and sports -- is the common denominator. For more information, visit www.AmericaSCORESCleveland.org. Burning River is releasing two books, a chapbook and journal, this month. More information can be found at the website by clicking the right-side banner or title of this entry. 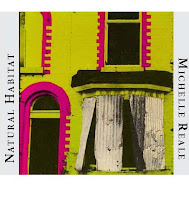 And for those attending the AWP this month, please stop by the Open Thread table to view these new releases as well as a couple from last year. Anyone near Pittsburgh or Kingston, PA, we've readings the third week of April as features. Here's a bigger copy of the Cleveland poetry calendar that is embedded at the top of this blog. I'm adding every northeast Ohio poetry event I know about to it. If anything in the coming month is missing, please either leave a comment below with details, send me an invitation to your event on Facebook, or send me an e-mail at jc@crisischronicles.com. If you've already sent me an invitation, there's no need to do so again (I will get to it ASAP). Let's try to make this calendar as comprehensive as possible. 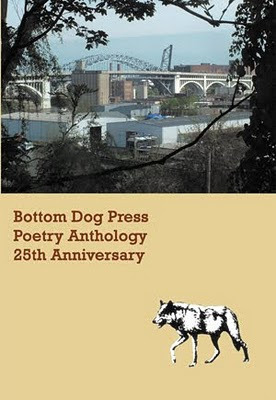 65 poets and 91 books later Bottom Dog Press celebrated 25 years of publishing with a silver anniversary anthology. A healthy dozen contributors to the collection gathered for a reading at the Barking Spider. Here are some pics from the event. Congratulations and thanks to Clevelandpoetics contributor and grand poohbah of Bottom Dog Larry Smith! Okay – so even the academic readings don’t start on time in Cleveland. The McDaniel – Dougherty reading was advertised as starting @7:30 and true to Poetic Standard Time things got rolling with Dumanis introducing the readers at around ten ‘til eight. Dougherty kicked things off launching into a rustbelt cinched treatise. Paisley flowered shirt rolled to his elbows showing tattooed forearms a cap that looks like it was plucked from a black and white photo of Ellis Island immigration line dwellers he reminded me more of an eastern bloc uncle than a professor from Case. His work carried the same sort of unapologetic sensibility as his wardrobe. 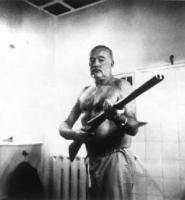 He himself later said that the pieces he was reading (from a forthcoming manuscript) were an attempt to just say things. “Sometimes things just need to be, said.” Dougherty’s reading style falls somewhere between a beat jazz sing song reminiscent of kinescopes of Kerouac on the Steve Allen show and the hip hop influenced delivery of contemporary slammers. Dougherty finished his twenty-five minute set with a couple list poems – one titles Ex and finally a love poem with the refrain “you are…” I enjoyed his set and hope to see more of this local writer. McDaniel began his set with an excerpt from a longer piece of fiction, possibly a novel – something he has been working on for a couple years and not quite sure what to do with yet. He clutched the lectern and lowered his head looking as if he was reading in a wind tunnel and there was no warning when the fan might be turned on. The five minute excerpt started out with a hilarious rendering of a family cat in heat swerved into a road trip to Niagra Falls with his father and brothers engaged in close quarter conflict and ending with a drug dependant mom vegetating back at home. McDaniel's work borders on the absurd at times and he uses humor like a knitting needle at a birthday party popping balloons. I’ve always liked his work and was somewhat disappointed when he confessed that he has probably only written four new poems in the last couple years. Let’s hope he rectifies this situation. Kay Ryan will speak at Cleveland Public Library as part of the Writers and Readers author series on Sunday, April 18, at 2:00 p.m. in the Louis Stokes Wing Auditorium, East Sixth and Superior Avenue. Kay Ryan is the 16th Poet Laureate Consultant in Poetry appointed by the Library of Congress and just the fourth woman to hold that position. Appointed by Librarian of Congress James H. Billington in July, 2008, she succeeds a long line of distinguished poets including Charles Simic, Donald Hall, Rita Dove, Robert Pinsky, Louise Gluck, and Ted Kooser. 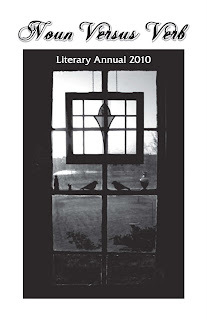 The author of several books of poems, Kay Ryan has won the 2004 Ruth Lilly Poetry Prize from The Poetry Foundation, a National Endowment for the Arts and a Guggenheim Fellowship, and the Union League Poetry Prize, as well as four Pushcart Prizes. Her poems have appeared in all the major literary magazines including The New Yorker, The Atlantic, Poetry, and The Paris Review. 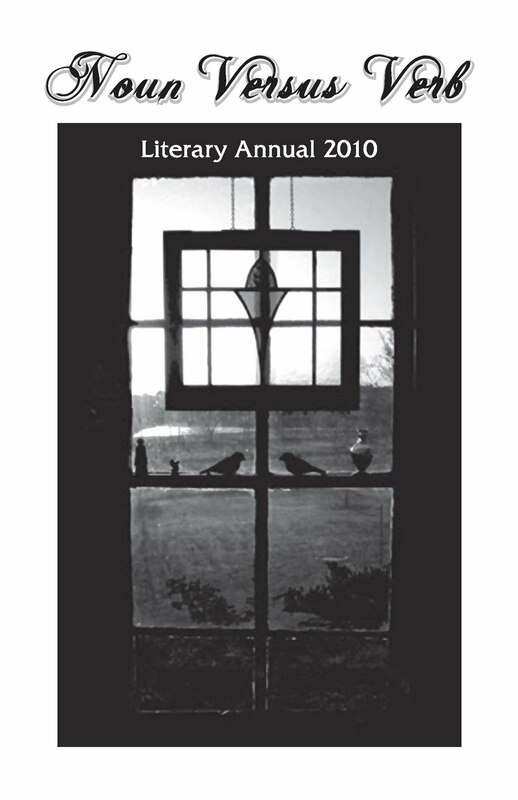 Several of them been selected for the annual editions of the Best American Poetry and have been anthologized in collections around the world. Her works include The Niagara River (2005), Say Uncle (2000), Elephant Rocks (1996), Flamingo Watching (1994), Strangely Marked Metal (1985) and Dragon Acts to Dragon Ends (1983). Her most recent book, The Best of It: New and Selected Poems (Grove), gathers poems from several of those volumes. Kay Ryan has been a Chancellor of the Academy of American Poets since 2006 and has taught at the College of Marin in Kentfield, California, for more than 30 years.